Although more and more countries are abolishing capital punishment, over half the world’s population lives in four of the countries that continue to use it: India, Indonesia, China — and the United States. U.S. public opinion continues to move against the death penalty, but while some states have overturned capital punishment (or never had it), most still sentence people to die. These four pieces examine the range of flaws in a system whose irreversible outcome can ill afford them. Armstrong and a team of researchers highlight a chilling discovery: since President Bill Clinton signed the Antiterrorism and Effective Death Penalty Act of 1996 into law, states have been executing inmates despite their inability to access a federal review after their lawyers missed the Act’s new, more aggressive filing deadline. Over 80 people have been denied habeas corpus because of the missed deadline, and 16 of them are now dead. Meticulously researched, Armstrong describes a deadly combo of legislative machination and personal failures. In 1993, Nathan Dunlap walked into a Chuck E. Cheese in Aurora, Colorado and shot and killed four employees at point blank range. Arrested 12 hours later and convicted after only three hours of jury deliberation, he’s been waiting to die since 1996. Natasha Gardner and Patrick Doyle put a face on the many flaws in the trial, sentencing, and appeals processes by focusing on this single, illustrative case. If a jury rejected the state’s argument that eighteen-year-old Shonelle Jackson should be executed, why is he on death row? Because of judicial override: a provision that allows a judge to unanimously sentence a convicted felon to death even if a jury has already refused. Three states allow judicial override — Florida, Delaware, and Alabama — though only one uses it regularly. In Alabama, almost 20% of death row inmates are there after a judicial override. Paige Williams digs deep into a system doubted even by those who use it. Legal and systemic flaws aside, the means of execution are increasingly coming under scrutiny as well. Nick Welsh walks us through the legal quagmire around deciding which drugs to use to induce death by lethal injection and unpacks the costs of a mistake — both financial and human. 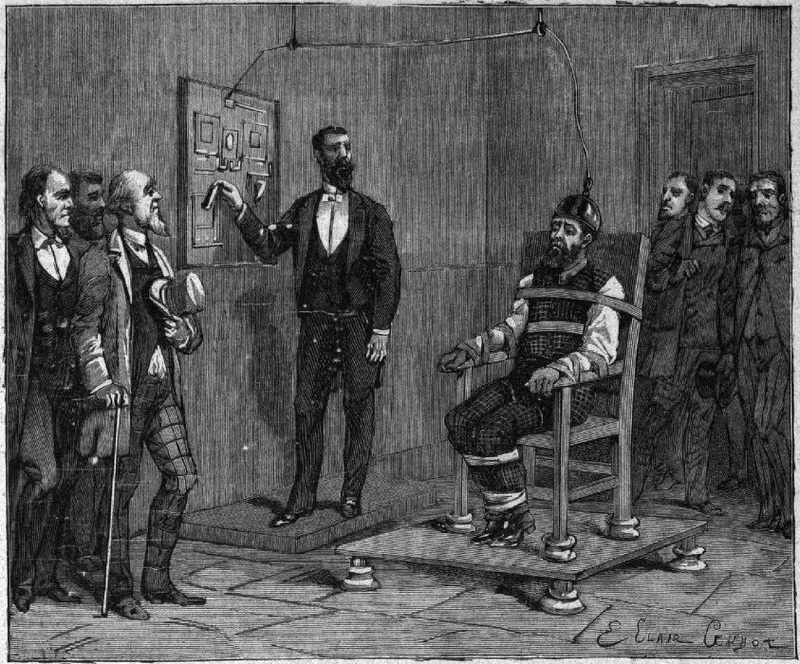 Photo: Une exécution par l’électricité à New-York, National Library of France.